This is a fantastic trade union branch and all of us on committee are incredibly proud to serve it. Everyone, please check out our latest video [here] to remind ourselves of the energy and commitment we have brought to the fight for fair pensions every day of this dispute. Tomorrow, the union’s Higher Education Committee (HEC) has an important decision to make, but the strike for USS remains on. Please turn out in great number on those Leeds picket lines from 7.30am tomorrow, and make them loud enough to hear from London. 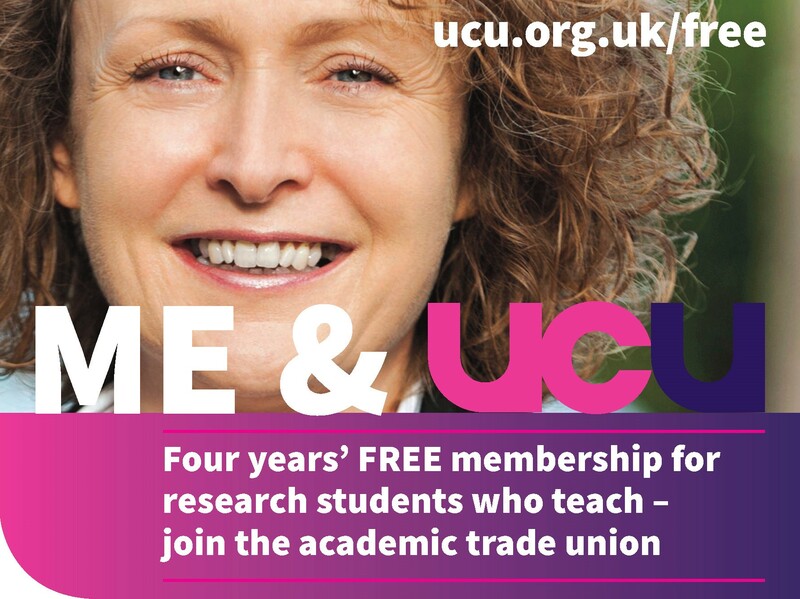 Lesley and I are both members of HEC, and we need to hear your views: is this the best offer you think we can get, or can we push harder, together, for a better deal? 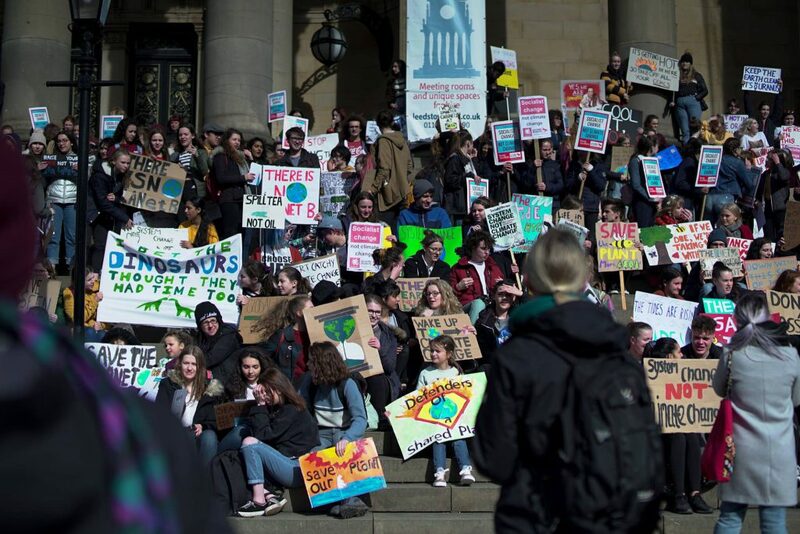 Following the post-picket rally (11am as usual) there will be an Extra Emergency General Meeting, (EDIT:) no later than 12 noon, earlier if we can confirm venue – please check in at the Parkinson (pink) picket gazebo + watch emails + Twitter.com/leedsucu for time and location. The Universities UK / UCU talks (facilitated by Acas) concluded today, and you can read the proposal that came out of them [here]. Please note that nothing has been formally agreed at this stage – both “sides” in this dispute still have to consult and make a decision. 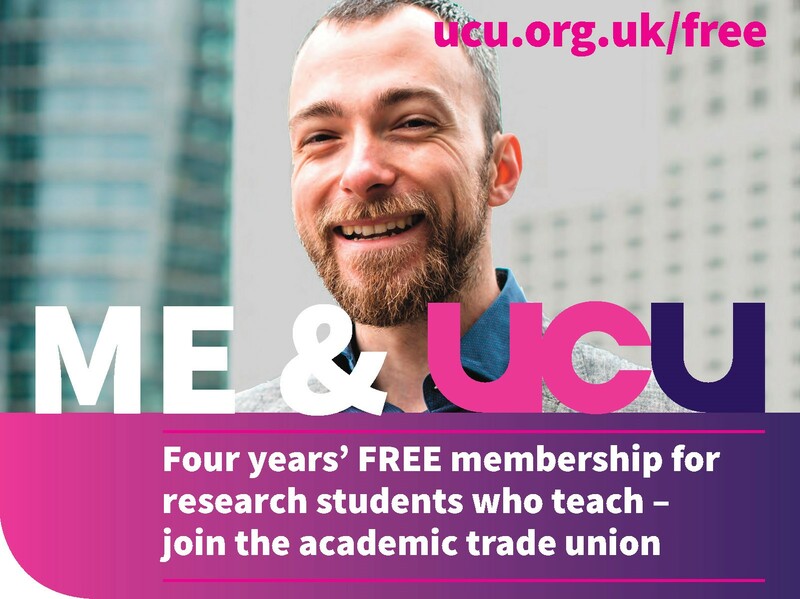 For UCU, that takes place tomorrow at a specially called Higher Education Committee, which will also hear input from a specially called branch briefing meeting. Time is tight and we urgently need to hear your views. In brief: we thank the negotiators for their hard work in difficult circumstances (negotiations which are arranged via Twitter after the other side declines to read your side’s proposals for a week are not quite what one expects as a national negotiator). We need to celebrate the fact that our hard work has moved the seemingly intransigent employers’ position. The three year transition period may represent a good chance for independent scrutiny of the valuation methodology. The commitment from UUK to ask its member institutions to consider how to minimise the financial impact on graduate teaching assistants appears to be a very positive shift – however we need to know more about how firm the UUK line on this would be. The three year transition period may also see us in a similar position in three year’s time, but having given ground and lost momentum. It is concerning that what is on the table is still based on the disputed November 2017 valuation of the scheme – as [this Twitter thread] highlights (you can view without needing a Twitter account), we need to know why this is the case and we need to consider whether we can shift this position. The move to a 1/85th accrual rate represents a significant cut in our pensions from 1/75th. Note that UCU’s proposal on the table when Acas talks began included a rate of 1/80th. We have not yet seen what impact that accrual rate would have on the modelled outcomes for pensions under the proposals on the table – we hope for more information tomorrow. There are serious concerns about “Collective Defined Contributions” (CDC) schemes, which are names as a possible route to exploring “shared risk”, particularly if we end up still operating on the November 2017 valuation and risk assumptions. Note that the risk in CDC is shared between employees, rather than between employers and employees. There are serious concerns about the agreement, were it to be ratified, calling on our members to undertake extra unpaid work at a time when we have, as a sector, renewed conversations and understandings about the importance of a fair workload and a work/life balance. 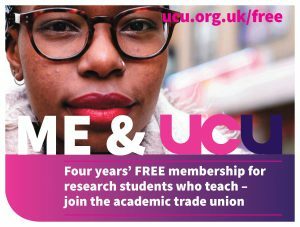 We are currently fighting against unfair “double docking” of pay for refusing to reschedule, so it is confusing and concerning that the proposal on the table includes an undertaking by UCU “to encourage its members to prioritise the rescheduling of teaching in order to minimise the disruption to students”. There is no explanatory note to provide for how this might be considered any more feasible under these proposals than at present (noting our argument that it would undermine our strike action, would be impractical to timetable, and would have deleterious effects for students as it would encourage “cramming” rather than genuine learning). ASOS deductions appear to remain threats at universities like ours which have continued to toe a “hard line” with these “legal but nasty” policies. We have built something incredible. We have brought employers who thought they could impose a Defined Contribution pension on us instead of a Defined Benefit a real fight, and we have inspired other trade unions in the process. Nationally, we have gained thousands of members (locally we have gained 189 in a matter of weeks!) 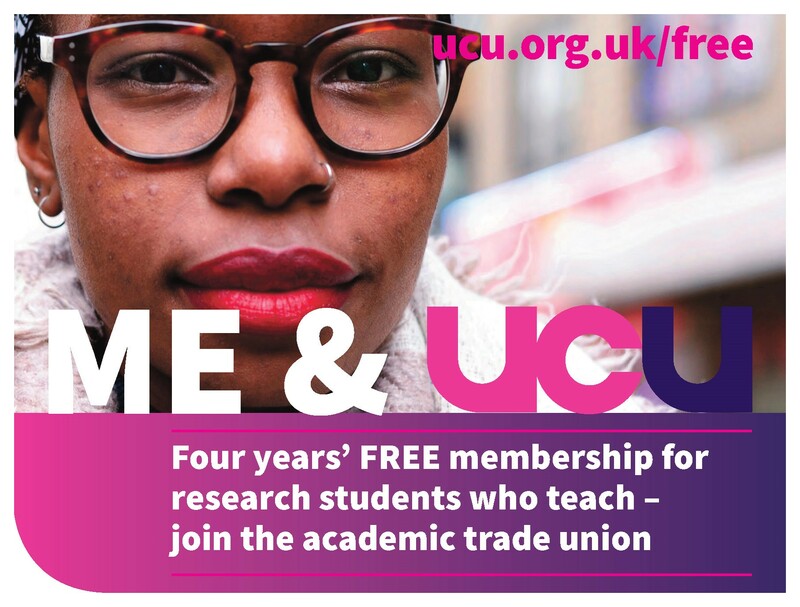 We have some cause for celebration in this, but we also need to continue to work together to make sure that tomorrow’s HEC is as well-informed of members’ views as it is possible to be in a tight timescale. Attend the EEGM (Extra Emergency General Meeting): 12 noon – in time for feedback to be sent to the reconvened HEC (part 2) from 2pm. Location TBC – please watch out for announcements. Whatever happens, we still march on Wednesday at 12 noon. On Wednesday 14 March, we will still march for fair pensions and to defend USS. This applies whether HEC rejects or accepts the proposals tomorrow. Whatever happens, we will press for the best possible scenario in those parameters (remembering we need any ‘independent review’ of the disputed valuation methodology to be just that – independent, and transparent). Our special guest speaker Liz Morrish has declared she will continue to speak out against “Defined Contribution” pensions. We have re-energised an already strong branch, and we have increased our capacity and reach. We have much to discuss in terms of our own university’s governance, and everything to campaign for in our fight for decent working conditions and our fight against casualisation and pay gaps, and for decent pensions.